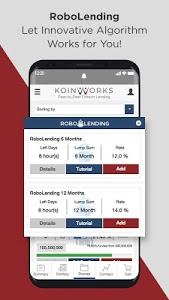 KoinWorks is the leading peer to peer lending company founded to provide accessible and affordable financial solution. 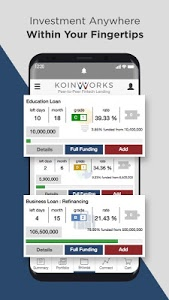 KoinWorks makes it much easier to invest with P2P Fintech Lending. We are the most loved P2P Fintech Lending company with the highest number of retail investors in Indonesia. 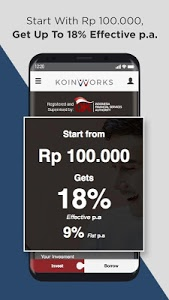 KoinWorks is also the pioneer among other Indonesian Fintech Lending companies and already registered and supervised by Financial Services Authority of Indonesia (OJK). Proven as the trend-setter in Indonesian P2P Lending segment and awarded The Most Innovative Fintech of the Year by Bisnis Indonesia Fintech Award 2017. 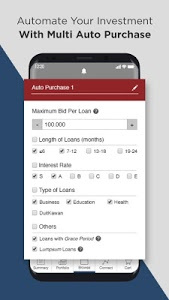 Every borrower is tightly assessed before being included into the platform. We make sure that every loan is high quality from the very beginning, so it would help minimize the potential risk. And therefore, we ensure that it is easy to create a low risk-high return investment portfolio. 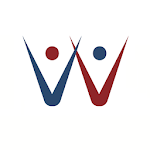 Similar to "KoinWorks - Online P2P Lending Investment"